At this week’s HKTDC tech show in Hong Kong, an interesting Windows tablet made an appearance sporting the hard-to-believe price tag of $65 (CNY 399). The tablet is called the Emdoor EM-I8170 and sports a 7″ 1024 x 600 pixel display. Under the hood, there’s an Intel Z3735G quad-core Bay Trail processor, 1GB of RAM and 16GB of storage. 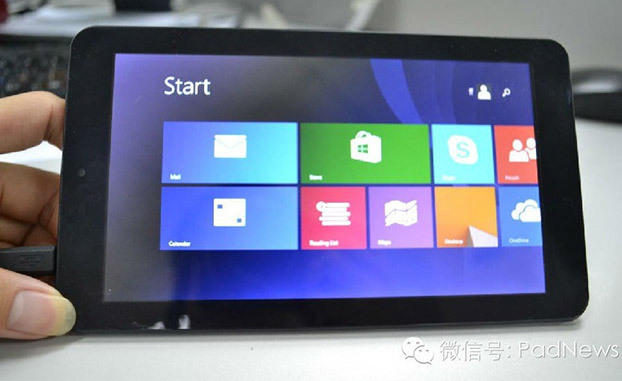 It boots Windows 8.1 and the company boasts it has received over 50,000 orders for the tablet already. Microsoft is seeing healthy competition in its ecosystem when it comes to low-end tablets. HP launched the $99 Stream 7 Windows 8.1 tablet sporting thr dsmr Atom Z3735G SoC with quad-core processor and a gig of RAM. The availability of the tablet outside China isn’t known yet, but Emdoor doesn’t seem to know at this point if it’s going to reach outside the boundaries of its home market.